Why I am happy about TNW organizing their Mexico Startup Awards and you should be too. Jorge Madrigal is the Director of Aventura Capital Partners and is helping The Next Web to organize the first edition of our TNW Startup Awards in Mexico, ahead of TNW Conference Latin America in São Paulo this August. In this op-ed, he explains why he decided to support our initiative. Over the last couple of years, I have dedicated the vast majority of my time to work towards further developing the Mexican startup ecosystem. Apart from organizing the second edition of Ciudad Móvil (aiming to congregate over 200 developers, designers, investors and innovators) in collaboration with the Mexico City Electronic Government in early September, this year, we’ve also kick started Tech Startup Nights, a monthly meetup for the startup community in Mexico that will have its fifth edition next August and a university entrepreneurship club program that now has three entrepreneurship clubs in public universities in DF. At Aventura Capital Partners, we deeply believe that the way for a better Mexico, is to empower more techies to start their own companies. A lot of work must be done with regards of education to get there, and that’s our contribution. On July 4th 2012, I was reached with some great news by The Next Web’s editor for Latin America, Anna Heim, and by its co-founder, Patrick de Laive: TNW was expanding its Startup Awards to Latin America and venturing into Mexico, I was quick to offer my help. The idea behind TNW Mexico Startups Awards is to make them the first public choice awards about startups in Mexico and then, hold a cozy get-together to celebrate the best startups, entrepreneurs and investors in the country. Most people in Mexico don’t know what a startup is. Not the Lean Startup definition, the Paul Graham definition – or for that sake, my definition. None. And although you may be inclined to think differently because today most universities are curious about startups and are trying to teach about them or because Mexico now has a Startup Weekend office and the number of cities hosting Startup Weekend will likely double in the next 2-3 years, the reality is that neither startups or doing a startup are popular themes amongst Mexicans today. I want startups to be popular in Mexico. I want every Engineering, Law, Biology, Chemistry, Political Science, Finance, Accounting undergrad to know what a startup is. In fact, I want every taxi driver, politician, teacher, police officer, musician, soccer player, gender activist, cook and salesperson to know what startups are and all the good that could be generated in Mexico if we had more startups. 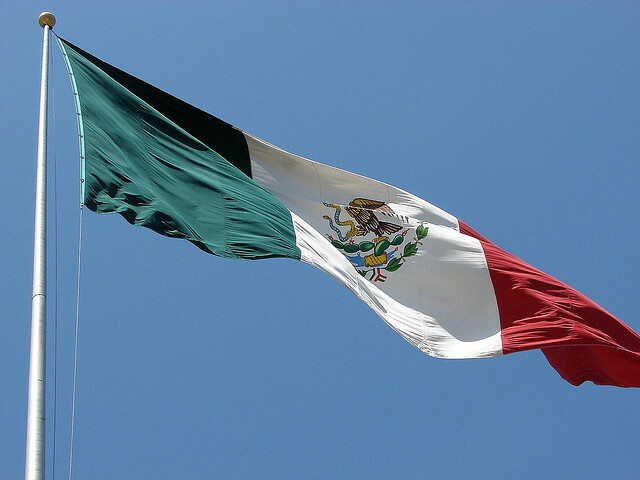 I want Mexico to get startup-fanatic. Getting the public, users and fans involved is very important to further develop the Mexican startup ecosystem. Generating competition between the startups that have launched in the past two years is great; startups are in a large part about competition and competitiveness. Getting more users, improving your product, hiring better people, beating expectations, making less mistakes, etc. I trust that with initiatives like the TNW Mexico Startup Awards, more light can be shed on the ecosystem and a lot more people can get involved in helping Mexico generate more and better startups. On the other hand, TNW has a worldwide readership, meaning that startups involved with TNW Mexico Startup Awards will have an opportunity to be noticed in different countries and continents than ours. As a young technology company, it’s hard to deny that getting more people to try your service or product is a big challenge, and being on the nominee list can certainly give startups a bit of needed push on this. And that’s why I’m happily helping the folks from the TNW to organize their first Mexico Startup Awards. Hopefully I will see you there come July 27!